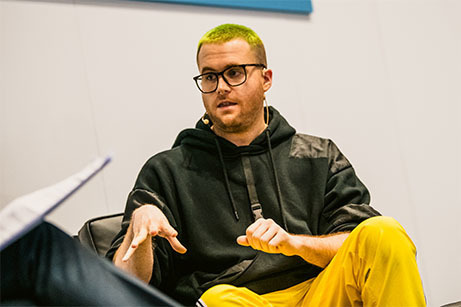 Manchester, UK – 03 April 2019 IP EXPO Manchester, co-located at Digital Transformation EXPO, opened today with Christopher Wylie, ex-Cambridge Analytica employee turned whistleblower. Wylie gave visitors the inside track on one of the most notorious data scandals to date and shared his insights on what governments, technology vendors and regulatory bodies should be doing to better protect personal data in the future. Wylie went on to reiterate why this was critical in an increasingly connected, smart world, posing questions about the effectiveness of current regulation such as GDPR. In a data-consent complex world - when people are asked for consent from everyday devices from a toothbrush to a car, the burden of responsibility should not rest with the consumer. He argued that technology was so fundamental to how we live, work and communicate that there has to be a new cross-governmental, cross-industry approach taken to data regulation to ensure it is fit for purpose and used responsibly. · Chris Testa-O’Neill of Microsoft demystified the capabilities and ethics of AI, and described the processes for integrating AI technologies into business solutions. · Dr Nicola Millard of BT discussed the digital reinvention of the workplace and how, in today’s society, employees and customers are connected by communication networks rather than face-to-face. · Steven Bryen of Amazon Web Services showcased how companies such as Hotels.com, Netflix and Tinder, are exploiting the latest machine learning technology to improve their products and services for customers. · Paul Fletcher of Sainsbury’s discussed the company’s digital transformation and shared the hard lessons he learnt from his and others’ experiences across a number of industries. · Lively panel discussion from Brad Brooks of OneLogin, Ian Pitfield of Netacea and Sophie France of Tessian forecasted the biggest cyber security trends and threats for the year ahead. IP EXPO Manchester is co-located at Digital Transformation EXPO. Launched by organisers Imago Techmedia in 2015, the event now encompasses IP EXPO, Cyber Security X and AI Analytics X. Designed for those looking to find out how the latest IT innovations can drive and support their business and transition to a digital future.